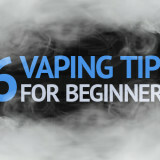 The Joyetech Cuboid mod is the latest in a quite long list of excellent products from Joyetech. 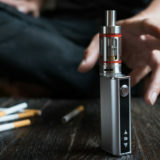 Joyetech has been involved in the vaping equipment scene for several years and supplies some of the most well-known brands and devices. 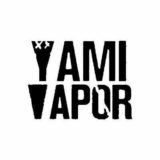 2016 is promising to be a big year for the vaping industry with some fantastic products heading to market. The Joyetech Cuboid mod is one of the first such highly anticipated products. We got hold of this mod earlier than most users and have tested it for several weeks now. Sit back and relax while we go through some of the finer points of the Cuboid! When we first got a good look at the Joyetech Cuboid, we were instantly surprised at just how small and compact this mod is. For a dual battery mod, packing this much punch, 150W out of the box or 200W after an update, it’s amazingly small and sleek. There are a number of different colors and finishes available to choose from currently – black, gray and silver. We received ours in silver. Overall, the build quality of the Cuboid is both visually and physically appealing. 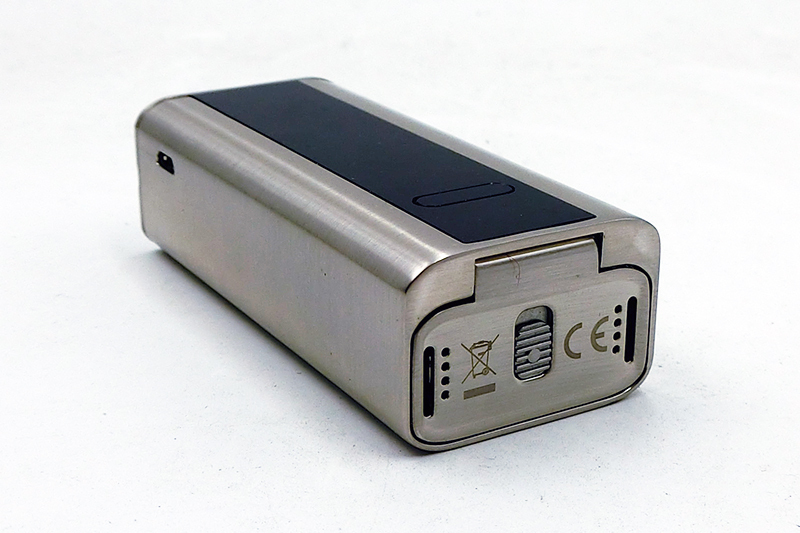 It is a compact but “heavy duty” mod which appears to be strong enough to last you quite a long time. 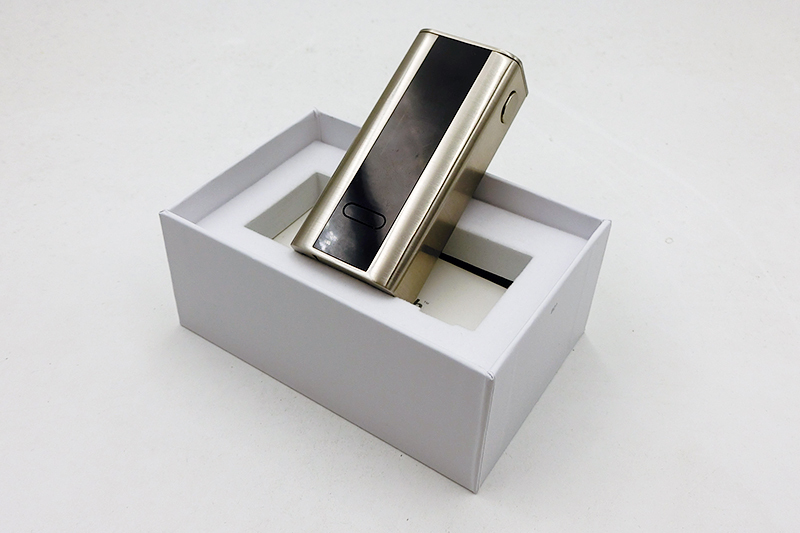 The overall appearance and design of the Joyetech Cuboid mod seemed quite stunning to us. It is surprisingly small, almost as small as the majority of single 18650 mods currently available on the market, and fits very nicely in your hand while vaping. Yes, the small form factor means that it is a heavy little thing (more than 300g together with batteries), but that’s definitely not an issue – it makes the device feel even more compact in your hand. The display is quite large, bright and clear, and there’s plenty of information available through it – there are even separate battery level indicators for each of the 18650s, so that you can make sure what’s really going on with your batteries. The Joyetech Cuboid mod has taken small mods with big power to a new level. Joyetech promised us that something new and exciting was on the horizon and didn’t fail to disappoint. 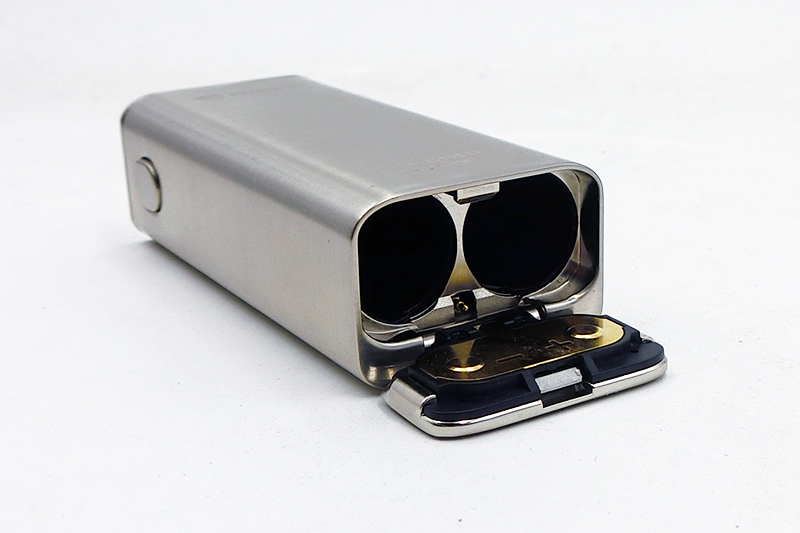 The Cuboid features dual 18650 cell replaceable batteries. You can switch them out quickly and easily when you need to – there is a slip-open battery lid with “+” and “-” marks, which will help you make sure that the 18650s are inserted correctly. This mod comes straight out of the box ready to use at 150W maximum wattage. When you perform a firmware update, however, your maximum wattage is increased to a massive 200W. And let us tell you – the update is really simple and straightforward, allowing you to satisfy your urge for even bigger power in a matter of minutes. 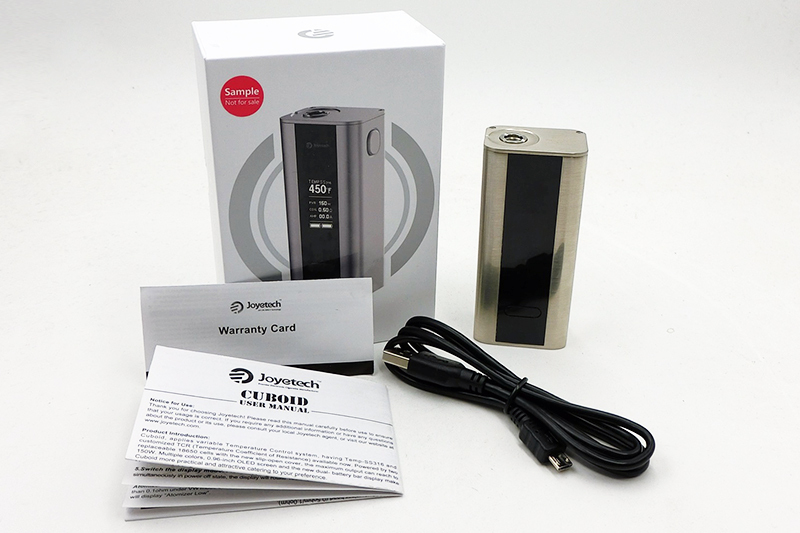 The Joyetech Cuboid mod supports both TC and VW modes which allow users to vape in their preferable mode. Built in safety modes adjust to your required usage and limits your wattage accordingly. This means that users can’t use high power incorrectly and can help prevent accidents or damage to the mod. 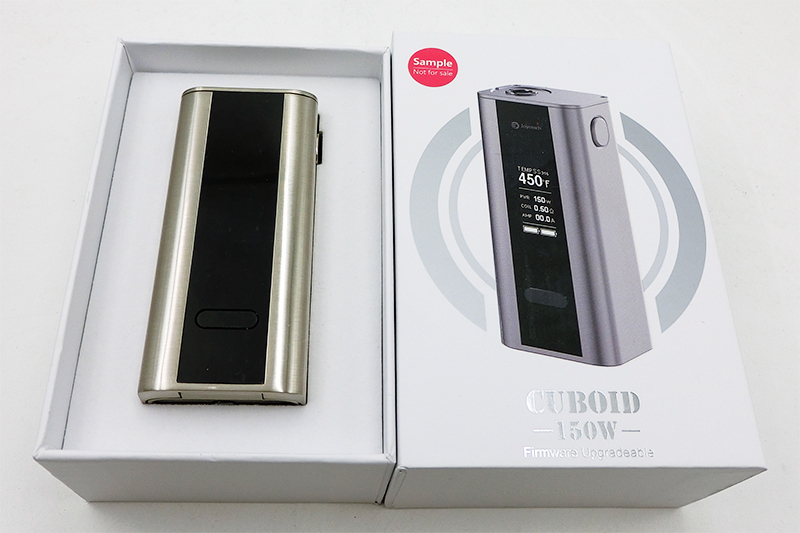 Apart from TC modes for nickel and titanium coils, the Cuboid also features the new Joyetech Temp-SS316 mode for temperature control vaping with stainless steel coils. We simply love this mode and have been using it with many different SS coils. 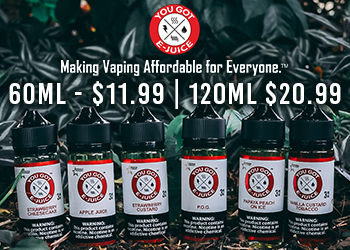 But that’s not all this mod has to offer in terms of temperature control – it also allows more advanced vapers to customize the Temperature Coefficient of Resistance, or TCR, to further improve their vaping experience. There’s one more thing to mention: although the Cuboid allows charging the batteries through the micro USB port, Joyetech themselves don’t recommend doing so. For safety purposes, we could only agree and recommend you getting an external 18650 charger. Get the best deal on Joyetech Cuboid at 3FVAPE! Use coupon code 2016CNY5 to receive a 3% discount! 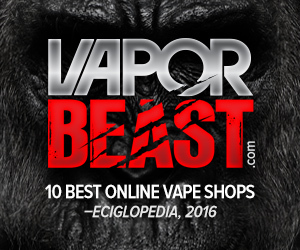 Get your Joyetech Cuboid from Fasttech! Use coupon code RMBBUST to receive a 5% discount! 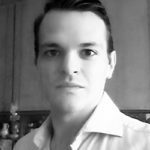 As of February 2016, the average price of the Cuboid would be between US $35 and US $50. 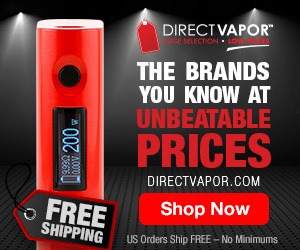 Taking into account that this device is capable of delivering 200W, works with all kinds of coils, and gives you a pretty amazing temperature control vaping experience, such a price tag is absolutely incredible. 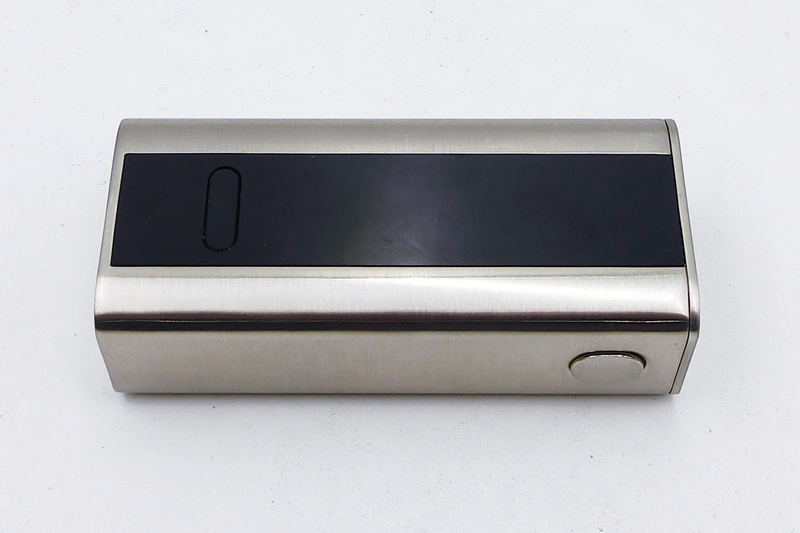 We don’t have many issues to list here that we didn’t like about the Joyetech Cuboid, but please keep in mind that there are always going to be different things that users prefer and/or expect out of their mods. 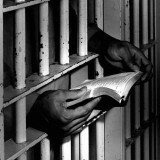 As mentioned above, the screen is bright and well-readable in indoor lighting conditions. However, despite of its quite large size, the readings are almost impossible to see in direct sunlight. 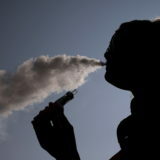 Of course, a whole lot of other mods and other electronic devices have the same issue, but we think that this would be the right time for electronic cigarette manufacturers to bring some innovation in this aspect. Another minor issue is that the black plastic around the screen can be scratched or damaged relatively easily. 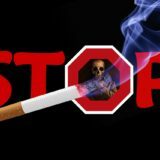 If you plan on having it look pristine, then you will need to pay close attention to how you care for it. And, finally, we didn’t exactly like the setting buttons (which actually is a single uniform button) – for a new user who still hasn’t adapted to this device, this button can be difficult to find in poor lightning conditions. Also, some other users have reported issues where the buttons on the Cuboid get stuck or actually fail to function. As such, this hasn’t been reported as a common problem, but we will keep you updated. This is another minor issue we noticed with our Cuboid. Without much nitpicking, it seems that on our mod, the button which locks the battery lid in place sometimes doesn’t work as it’s supposed to – it tends to get stuck if there are no batteries in the mod. If this happens, one simply needs to tinker around it with their fingers a little while longer to make it open. That’s definitely not a deal-breaker for us, but might get a bit annoying over time. The Joyetech Cuboid is truly a well thought-out device which, at least for us, always delivers outstanding performance. 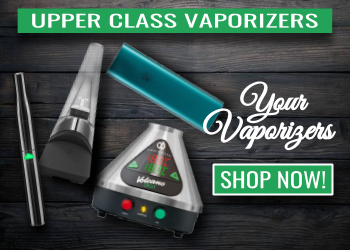 It is a true vaping workhorse, encased in a surprisingly small and ergonomically convenient box, which is both straightforward enough to use for beginners and also packed with features that more experienced vapers will definitely appreciate. 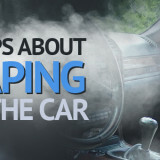 It is an outstanding device if you’re into temperature vaping. 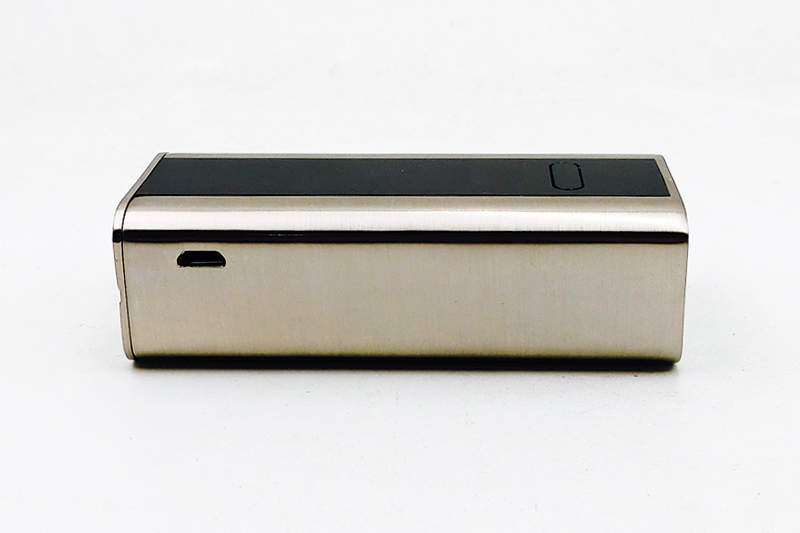 Design wise, the Cuboid is a compact, modern and great-looking mod, with a likable metallic finish and a large screen which gives you detailed readings of pretty much everything you need to know. When it comes to cons, there’s really not much to talk about. And, when taking into account the exceptionally affordable price tag, we are quite certain that you really can’t go wrong with purchasing the Cuboid. 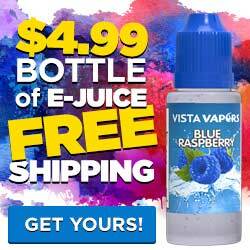 Next story Best Online Vape Shops – 10 of The Best!